A screw type design using the BNC series combining system especially for strong vibrations. 50 ohm and 75 ohm impedances. 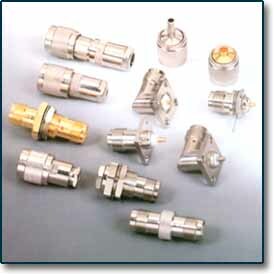 Frequencies up to 11 GHz can be used for 50 ohm connectors while 75 ohm connectors can use up to 1 GHz. Cable Connectors are divided by clamp or crimp according to their usage and every 75 ohm and 50 ohm TNC connectors can be used compatibly. MIL-STD-202 Method : 213Condition G.
MIL-STD-202 Method : 204Condition B.